Hershey's Debuts New Chocolate Spreads; Should Nutella Be Worried? Always ready to help you incorporate more chocolate into your life, Hershey's has introduced a new line of spreads in the flavors of Chocolate, Chocolate with Hazelnut, and Chocolate with Almond. Advertisements seem to suggest that putting the spreads on toast and fruit slices is the proper thing to do, though there's certainly no law against using them to make cookie sandwiches. 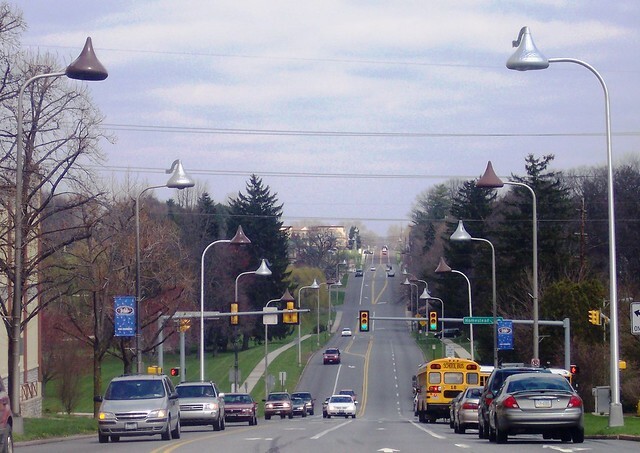 Longtime readers of this blog know that I am partial toward Hershey, having grown up just 15 minutes from the eponymous town, where, incidentally, street lights are covered in chocolate kisses. I intentionally did not purchase the "Chocolate with Hazelnuts" variety, which is clearly intended to compete with Nutella. Don't hate me, but I don't love Nutella (I know, I'm weird) and was more interested in trying the straight-up chocolate flavor. Specifically, I was curious to see how it was different from the Hershey's Milk Chocolate frosting from Betty Crocker, which I had also recently sampled. I mean, what is chocolate frosting, really, but a sugary cocoa spread? First, you may be surprised to learn that Hershey's Milk Chocolate frosting is significantly lower in fat, clocking in at 5 grams per 2 tablespoons, whereas Hershey's Chocolate Spread is 12 grams per 2 tablespoons. That quantitative difference is readily reflected in the spread's richer chocolate flavor and far thicker texture. With the frosting, sugar dominates over cocoa; with the spread, vice versa. Keeping that in mind, you may want to rethink using the spread as any part of a light, healthy breakfast and instead reserve it for adorning baked goods and other non-diet treats. By the way, readers, if you have tried the chocolate with hazelnuts flavor of Hershey's spreads, please give your thoughts in the comment section regarding what kind of competition it poses (if any) for Nutella.